for work performed on California construction projects. Complete & review your California lien document for free in 10 minutes or less. Why Use LienItNow for California Lien Documents? We make it easy to create, file and send California liens and 20 day notices. LienItNow.com's online mechanics lien forms are made to help contractors, sub-contractors, and suppliers secure the payment they need in the fastest and easiest way possible. In three simple steps, complete your mechanics lien on your own time in only 10 quick minutes. Once a time-consuming process for construction companies, LienItNow.com makes filing your mechanics lien faster and easier than ever. LienItNow.com can also help you create bond claims, pre-lien notices and lien releases. What is a California mechanics' lien Claim? The easy answer to what is a California mechanic's lien: it is an extremely useful method for getting paid for work performed on a California construction project. A California mechanics lien claim turns the construction owner or developer's property into collateral, securing the work that the lien claimant performed. This effective tool helps to extract quick payments for overdue balances because it ties up and encumbers the property. 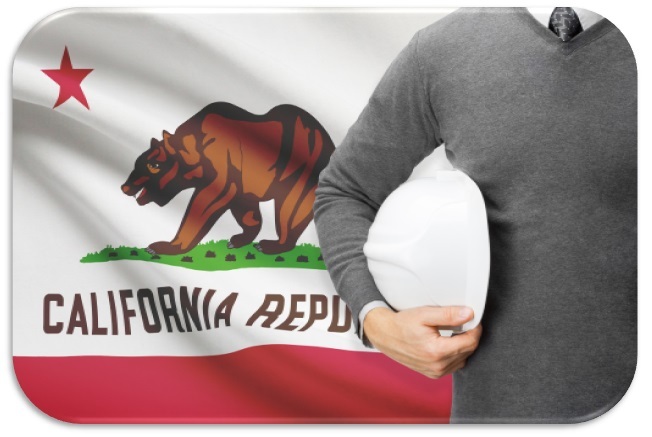 As a result of the statutes created by the California legislature, property liens on California construction projects are available to those who performed work or delivered materials; but California enforces those statutes strictly, so the how, when and where of the mechanics lien are important to get right. LienItNow.com's mission is to make the property lien filing process as easy as possible for those who provide work on construction projects. That being said, knowing when to file a California Mechanics Lien, why to file a California Mechanics Lien, where to file a California Mechanics Lien, and how to put a lien on property in California are all crucial to getting a mechanics lien done correctly. When to file California Mechanics Lien. How quickly should you file a California lien on a property that you improved with your labor or materials? In California, the answer depends on actions of the owner, when and if they filed a notice of cessation or a notice of completion. Most importantly, though, when to file a California lien on a property depends on whether you are owed for services performed to improve real estate, and how much time has passed since the project was completed. If too much time has passed after the completion of a construction project, a California mechanics liens cannot be filed, and if it is, it will not be valid. Additionally, a California mechanics lien can only be filed when money is due and owing for work performed or materials provided to a construction project, so make sure not to file a mechanics lien claim until money is owed. Why file a California Mechanic's Lien? Why to file a lien on property in California can be easily explained: in order to ensure that the claimant has collateral for the value of the work performed but for which the lien claimant has not been paid. Property liens in California are a way of securing the collateral for amounts due and owing, and are the primary reason for why a mechanics lien should be filed. Another reason for why a property lien should be filed on a California property is that it provides pressure on an owner to pay the amounts due because a lien basically makes it harder for the owner to sell or obtain financing for the property. This is because a lien secures the value of the work with the property on which the work was performed. Placing a lien on the property results in the property acting as collateral, and allows the claimant to force a sale or foreclosure of the construction project if he is not paid for the work performed. A mechanics lien also places the claimant in a better position for negotiating payment, because now the owner's property is harder to sell, transfer or finance. Where to file a California Mechanic's Lien. Usually, the answer to where to file a California Mechanic's lien is an easy one to give, but it is also an important answer. Filing a California properly lien in the wrong place can have serious consequences, including invalidating the lien itself. Prior to filing a California mechanic's lien, a claimant should make sure it has the correct address and owner information, that way the property lien can be filed in with the correct government officials. Many times claimants attempt to file the mechanic's lien with the town or city, but in California the town does not control land records, so attempting to file a property lien in a town or city clerk's office will result in a lien that is not properly filed. California's property records are maintained at a county level, and a California mechanic's lien must be filed in the county where the property to be liened is located. To the extent the property lien is filed in a different county than where the property is located, the California mechanic's lien will not be effective. How to File a California Mechanic's Lien. The good news is that the California Property Lien Statutes set forth how to file a California Mechanic's lien; the bad news is that, as in most cases, the California Property Lien Statutes require a lot of reading and detail to get the filing of the construction lien correct. Creating a mechanic's lien document is only part of the process, knowing what information is required to file a California property lien is yet another process. To file a California mechanic's lien document, you should obtain a copy of the mechanic's lien form from the clerk's office where the property is located. Once that is received, you will need to fill out the California mechanic's lien document completely and accurately, including the correct owner's name and mailing address, the correct tenant's name and mailing address, the legal description of the property, and a description of the work performed, along with many other things. When that information is completed accurately, you can take the mechanic's lien to the county clerk's office and file it, along with any associated fees required. Unfortunately, many clerk's will not tell you if there is a mistake in the lien, or if it is being filed incorrectly; other county clerk's may reject the mechanic's lien and not indicate why. It is for these reasons that LienItNow.com was started, with the hopes of providing the best way to know how to file a lien in California. By providing California property lien processing services online, LienItNow.com makes the mechanic's lien filing in California a hassle free process. LienItNow.com prepares, files and serves California construction mechanics liens. When a California construction lien is filed with regard to work performed on privately owned property, it attaches to and encumbers the fee simple ownership of property. On public projects, stop notices and bond claims have a similar effect with regard to the project funds. Can I file a California mechanics' lien Claim when the project is on government owned Property? In most circumstances, California does not allow mechanics liens to be filed on government owned property. However, nearly every project on government owned project is required to have a payment bond in place to protect subcontractors and suppliers. Filing a claim against the payment bond secures your claim for money in a way that is similar to filing a lien claim. In addition to the payment bond, stop notices may also be filed. Both bond claims and stop notices are discussed in more detail below. Who can file a California mechanics' lien Claim? Contractors, as well as subcontractors, design professionals, sub-subcontractors and material suppliers can file a California mechanics lien. If a company supplies material to a material supplier, they are not eligible to file a California mechanics lien claim. Are preliminary (pre-lien) notices for California mechanics' lien Claims required? Yes. Within 20 days of the commencement of work on the property, subcontractors and suppliers should provide written preliminary notice to the owner, the general contractor and the construction lender that they are performing work on the property. If the preliminary notice is served late, then the claimant can claim a California construction lien for the value of the labor or materials provided in the 20 days preceding the service of the notice and thereafter. Note that if you are performing work for more than one contractor or subcontractor, you must provide separate preliminary notices for each one. Contractors with a direct contract with the owner are required to provide a preliminary notice to the project or construction lender: in that case, the same time periods apply. >In the case of design professionals, not less than 10 days before recording a claim of lien, the design professional must give the landowner notice making a demand for payment, and stating that a default has occurred under the contract and the amount of the default (Notice of Intent to File a Lien). On public projects, a preliminary notice must be given prior to sending a stop notice or a bond claim. Similar to a private project, a preliminary notice on a public project should be given at the commencement of work or furnishing materials. This is because a claimant may give a stop payment notice or assert a claim against a payment bond only for work provided within 20 days before giving preliminary notice and at any time thereafter. Can you file a California mechanics' lien Claim without a preliminary notice to owner? The importance of preliminary notices in California cannot be overstated. To maximize a lien claimant's chances of recovery, and to ensure that a California mechanic's lien can be filed, everyone working a construction project should send a California pre lien notice. Preliminary notices are required to be served prior to filing a California mechanics' lien claim; if a preliminary notice is not served in California, then a mechanic's lien claim will be either invalid or the amount due and owing will be extremely limited. When should a California mechanics' lien Claim be filed? Prime contractors must file a California claim of lien within 60 days after a notice of completion or notice of cessation is recorded, or if no recording of completion or cessation is accomplished, within 90 days after the completion of the work of improvement. Subcontractors and materialmen must file a California claim of lien within 30 days after a notice of completion or notice of cessation is recorded, or if no recording of completion or cessation is accomplished, within 90 days after the completion of the work of improvement. How much does it cost to file a California mechanics' lien Claim? LienItNow.com prepares, files and serves California mechanics' liens (which includes a written notice of intent to claim a lien, if necessary, as well as a verified statement of lien). Do I need a written contract to file a California mechanics lien claim? No. Oral contracts are sufficient if you have sufficient documentation to show the existence of an agreement or that you performed the work for which you are filing a California mechanics lien. How does filing a California mechanics' lien Claim help me get my money? On a private project, the California mechanics' lien places an encumbrance on the property that makes it difficult to resell or re-finance the property without first removing the construction lien. What is a California Stop Notice and why should it be filed? LienItNow.com prepares and serves California Stop Notices. A Stop Notice can be filed on both public and private projects, and is a notification that has the ability to enhance the effectiveness of a mechanic's lien. A Stop Notice, or a notice to withhold funds, is sent to the company that is financing or funding the construction funds for a project. Once that company receives the Stop Notice, that company has notice that it should withhold sufficient money to satisfy the stop notice claim. The purpose of the Stop Notice is to provide the owner of the construction project notice that there is money owed to a contractor, subcontractor or supplier so that an inquiry can be made as to why that money is not being paid. The 20 day pre-notice is required to be eligible to file a Stop Notice. Additionally, if a stop notice is sent to a lender, it must be accompanied by a bond representing 125% of the amount due and owing (this is not applicable if a stop notice is only sent to an owner). For public projects, the stop payment notice can be as effective as a public project mechanics lien claim is in other states. The stop notice informs the owner that you are not getting paid, and the owner is obligated to stop payment to the contractor. A public project stop payment notice is not effective unless given before the expiration of whichever of the following time periods is applicable: (a) If a notice of completion, acceptance, or cessation is recorded, 30 days after that recordation; (b) If a notice of completion, acceptance, or cessation is not recorded, 90 days after cessation or completion. What is an Amendment to a California mechanics' lien Claim? LienItNow.com prepares, files and serves California Amendments to mechanics' lien Claims. Amendments to a mechanics' lien claim are often needed when something about the lien claim changes. Common changes to a lien claim are increases or reductions in the amount due to the lienor, or a change to the last date of work. When should a California Discharge of mechanics' lien claim be filed? LienItNow.com prepares, files and serves California Discharges of mechanics' lien Claims. Once the lienor has been paid the amount contained in its lien claim, or has come to an agreement that requires the lien claim to be removed from the property records, a Discharge of mechanics' lien Claim should be filed. How much does it cost to file an Extension of a mechanics' lien Claim? LienItNow.com prepares, files and serves extensions of mechanics' lien Claims. All lien claims expire after a certain period of time, and filing an extension of the mechanics' lien claim prolongs the expiration date. California law, however, does not permit an extension of mechanics' lien claims. Can I file a Bond Claim on a California Project? LienItNow.com prepares, files and serves California Bond Claims. Bond claims can only be filed on a project where the owner, contractor or subcontractor has obtained a payment bond to ensure that every contractor receives payment for the work performed on the Project. The payment bonds issued by sureties for construction projects have specific timing requirements, but most require claimants to submit claims against the bond within sixty to ninety days from the claimants' last date of work. Bond claims are as or more effective than a lien claim because the payment bond acts as a guarantee that payment will be made for work properly completed. Do I need to file a Pre-Notice to make a claim against a California payment bond? LienItNow.com prepares, files and serves California Pre-Notices for bond claims. Depending on the terms of the payment bond, pre-notices may or may not be required. LienItNow.com recommends that, prior to or immediately after starting work or delivering materials to a project, subcontractors and suppliers, file a pre-notice that it is a potential beneficiary of the construction project's bond.